911uk.com - Porsche Forum : View topic - How much? GT3 996.2 Alloy wheels. 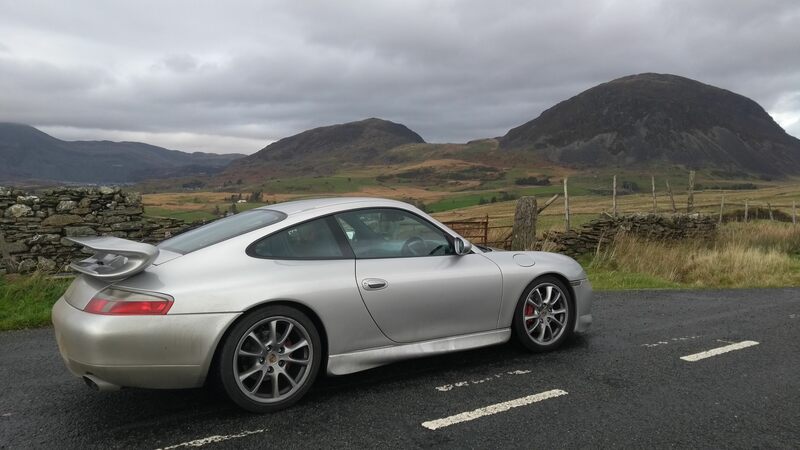 911uk.com Forum Index > Porsche Wheels & Tyres For Sale & Wants > How much? GT3 996.2 Alloy wheels. Posted: Thu Apr 05, 2018 9:04 pm Post subject: How much? GT3 996.2 Alloy wheels. I have the same wheels. Not that I’m selling them. I think fronts should be 8.5 on a 996.2 GT3. Yes, there was a 8.5 X 18 et 48 ish something. Not sure if that was. Only the RS or standard? Porsche made other sizes, but not sure what cars these were originally fitted to? Yes fronts should be 8.5j for the GT3. I'd say around £1.5k with the narrower 8.0j fronts. Yeah I thought 2k plus? But after opinions. There are some on eBay for £2500 + need refurb also. He's did have some for £3000 but they're gone! On the 996.2 GT3 (as well as the RS) the fronts are 18x8.5j ET 40 and the rears 18x11j ET 63. Also available via tequipment in the same style they also offered an 18x8j ET 50 and an 18x11j ET 45 (standard 996 Turbo/4S fitment) as well as the 18x12j ET45 for the post-facelift GT2 (paired with the 8.5j GT3 front). The combination of the 8j front and ET 63 rear is the correct configuration for a narrow bodied Carrera. I reckon that dealers would probably give you £1200 or so (remember though that they need a margin and will have to add VAT to sell them on), and to someone who wants to put them on their car you might get up to £2k but they are not worth as much as a GT3 set with 8.5j fronts (which of course can also be refinished to suit RS owners). If I were offloading then I'd go eBay with a £1500 start price and buyer collects as a baseline, but it might also be worth dropping a note to the forum's favourite wheel specialist (Chris at Exel wheels) first to see if he is interested in making you an offer. As a trader it might not be quite as high as a private sale, but it would be hassle free, money in your bank with no effort to list, managing bidders/collection or auction/paypal fees and consequently worth considering. Thanks Colin. Good information and advice there. Bit of leaway for some Oz Alleggerita's, or a bit of saving for some Fuchs! Did you sell these James? I haven't advertised them. I do love them...... But toying with getting some genuine Fuchs.